Turn your backyard into an outdoor oasis with a custom-built inground swimming pool in Sacramento. Custom inground swimming pools offer beauty and luxury without compromise. As an Sacramento County swimming pool company, our attention to detail and stringent engineering standards with superior quality materials are combine to create the best inground swimming pools experiences available. Award winning pool design that exceed the expectations of the residents in Sacramento California. Great design and customer service set us apart from the other Sacramento competition. We offer great design flexibility that can be built in any shape or style pool to fit the needs of your Sacramento home. There are dozens of pre-designed shapes that can be customized with built-in features in a beautiful array of designer colors and patterns. Our core principals are excellence in quality and service. 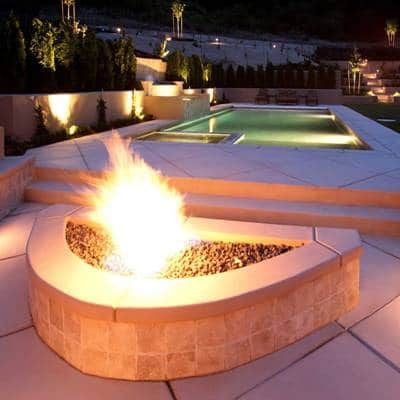 We proudly stands behind all of our commercial swimming pool projects, and our years of experience are seen while we construct your commercial swimming pool commercial spa or sparkling water feature. Whether you’re building a public community swimming pool for a community or an aquatic center featuring an Olympic pool, Cal Pools delivers the experience and technical skill to complete your pool on-time and on-budget. Our quality in construction is second to none in our service area of Sacramento California. We work closely with architects, engineers and developers in an organized effort with outstanding results! We employ the latest green technologies in water purification and water heating to ensure maximum energy efficiency.